NEW! 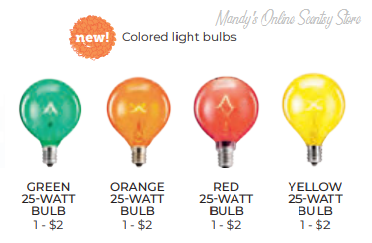 Color Scentsy Bulbs are 25 watts each and will fit warmers that use a 25 watt bulb. Available to purchase March 1, 2019.